This excellent prose translation of Homer's epic poem of the 9th century BC recounts one of Western civilization's most glorious tales, a treasury of Greek folklore and myth that maintains an ageless appeal for modern readers. A cornerstone of Western literature, The Odyssey narrates the path of a fascinatingly complex hero through a world of wonders and danger-filled adventure. After ten bloody years of fighting in the Trojan War, the intrepid Odysseus heads homeward, little imagining that it will take another ten years of desperate struggle to reclaim his kingdom and family. The wily hero circumvents the wrath of the sea god Poseidon and triumphs over an incredible array of obstacles, assisted by his patron goddess Athene and his own prodigious guile. From a literal descent into Hell to interrogate a dead prophet to a sojourn in the earthly paradise of the Lotus-eaters, the gripping narrative traverses the mythological world of ancient Greece to introduce an unforgettable cast of characters: one-eyed giants known as Cyclopses, the enchantress Circe, cannibals, sirens, the twin perils of Scylla and Charybdis, and a fantastic assortment of other creatures. 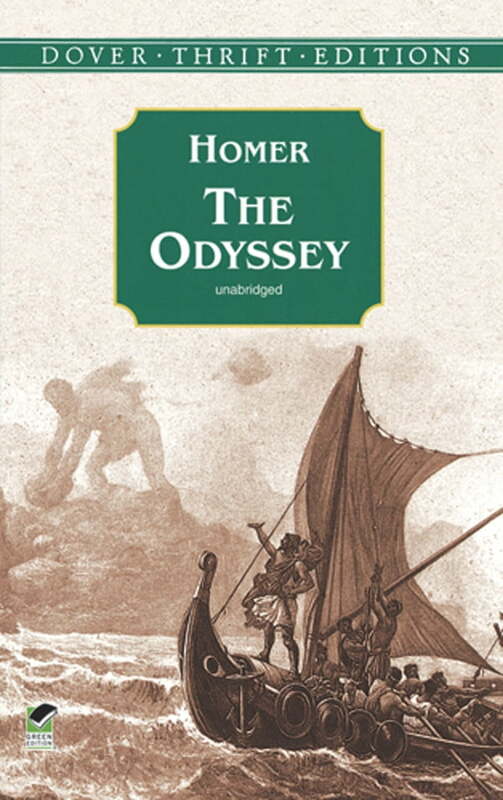 Remarkably modern in its skillful use of flashbacks and parallel line of action, Homer's monumental work is now available in this inexpensive, high-quality edition sure to be prized by students, teachers, and all who love the great myths and legends of the ancient world.